Living in The UAE: UAE(United Emirates) is one of the most reliable countries for expats. An expat can anticipate a rich and rewarding experience. This Middle East country has been a center of attraction for professionals from other countries. This part of the world provides a platform to an expat to grow big in a career. A competitive Business Environment with no income taxation has made this place a preferred one for Expats. 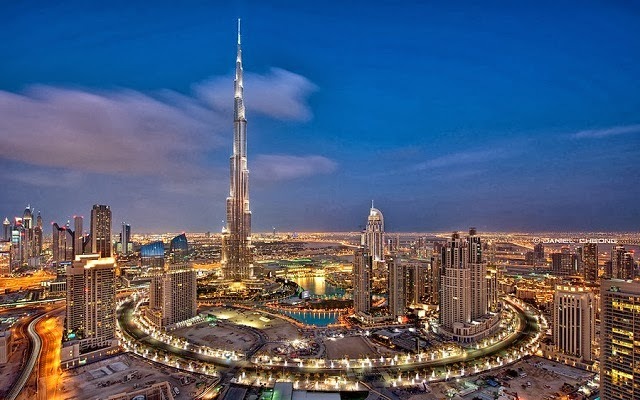 UAE consists of seven emirates but Dubai and Abu Dhabi are the most popular ones. These places offer various opportunities ranging from teaching to administrative jobs. Related Article: What are the Benefits of Living as an Expat in India? Teaching is a respectable profession in UAE one can choose. There exists a need for the teacher of various subjects as persons from various corners of the world are living in this part of the earth. So there is never a dearth of jobs in teaching in UAE. One can earn as much as USD $70000 annually and even lowest would be around $30000 without any income tax. In addition to that most of the teachers in UAE get free housing with other perks like extensive holidays, health insurance, return flights, School fees for your kids and also sufficient bonus at the end of the contract period. There are basically two categories of school teachers in UAE one is a public school teacher and other is the private school teacher. Someone who is proficient in English can expect to get a teacher’s job in UAE easily as they are in strong demand. Except for this subject, if you are able to teach the complex concepts of maths, Biology, Chemistry, and physics then it is not difficult for someone to find a well-paid job in UAE. Other than teaching jobs there are a plethora of options for an expat to get administrative jobs here. The roles in administrative jobs here can vary from project assistant to librarian etc. For these jobs, one needs to have the know-how of the job one wants to get with required personal traits and attitudes. UAE is the place where people from every part of the world are living. These expats want the best education for their kids. There are plenty of international schools present UAE, making it possible for expats’ kids to get a better education. But these schools are also very expensive at the same time. So it is important to focus on factors like age, curriculum, and achievements of the school. Some of the most reputed and trusted schools are Raha International School, American International School, Jumeirah College etc. Safety is a very important factor to consider before traveling to any other country as Better safe than Sorry. There are different laws for social security in UAE on the federal and the local level. there exist strict laws that can ensure safety for any expat. PREVIOUS POST Previous post: What are Benefits of Living in North Africa as an expat? NEXT POST Next post: How to clear SSC Exam without Coaching in Three Months?